The Yamamoto Signature edition is a genuinely special MX-5 exclusively available in Italy. 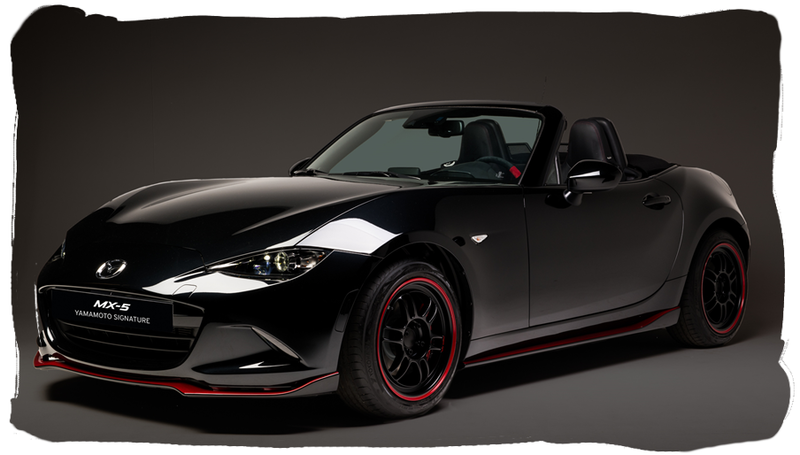 This car is the second of the three "Top Limited Editions" being unveiled by Mazda Italia. 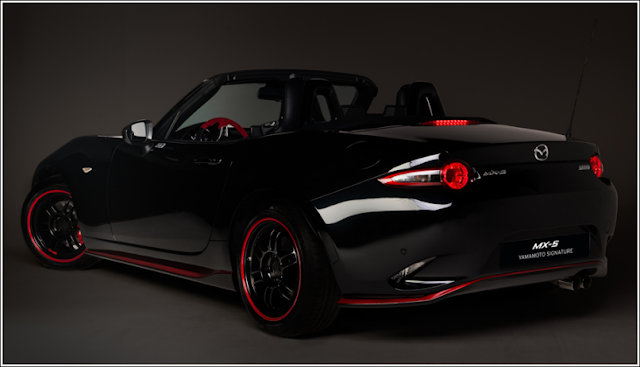 As the name suggests, the Yamamoto Signature MX-5 is a tribute to Nobuhiro Yamamoto, head of the MX-5 design team. 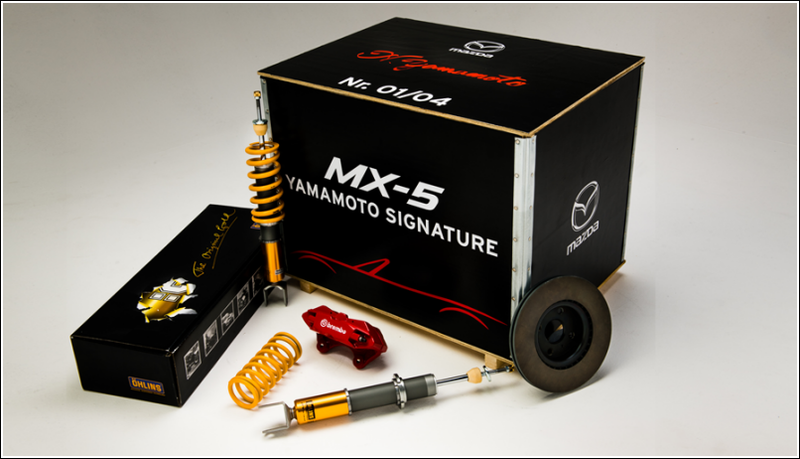 Yamamoto-san has worked at Mazda for over 40 years and was involved in the victorious 1991 Le Mans programme and the R&D of various Mazda sports models over the years. 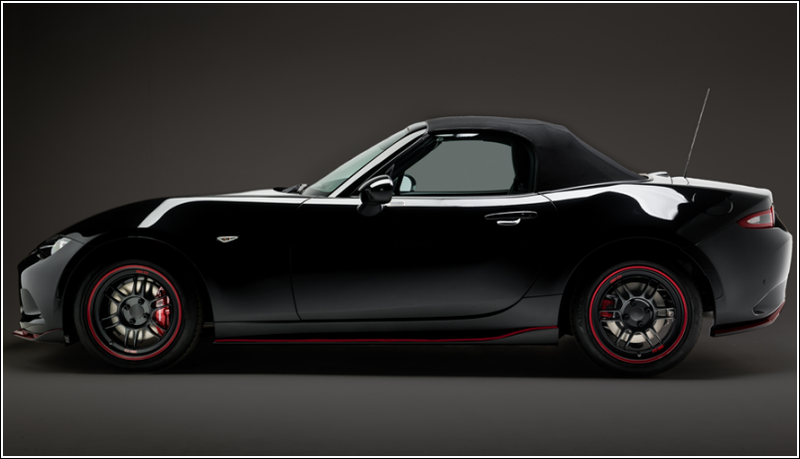 The Signature edition is based on a top-spec 1.5 litre model, interestingly choosing not to use the more powerful but heavier 2.0 engine. The car is only available in Jet Black and includes the Mazdaspeed aero kit painted with red highlights, similar to that seen on the RS Racing concept car. 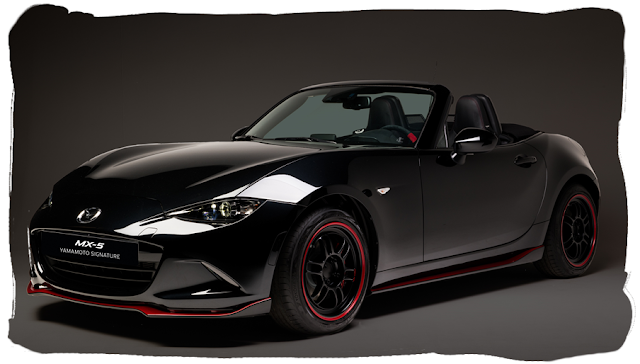 The exterior also has a unique badge riveted to the driver's door featuring the Japanese kanji meaning "feeling, sensation" and the model's name and number. Inside, the red and black colour theme continues. 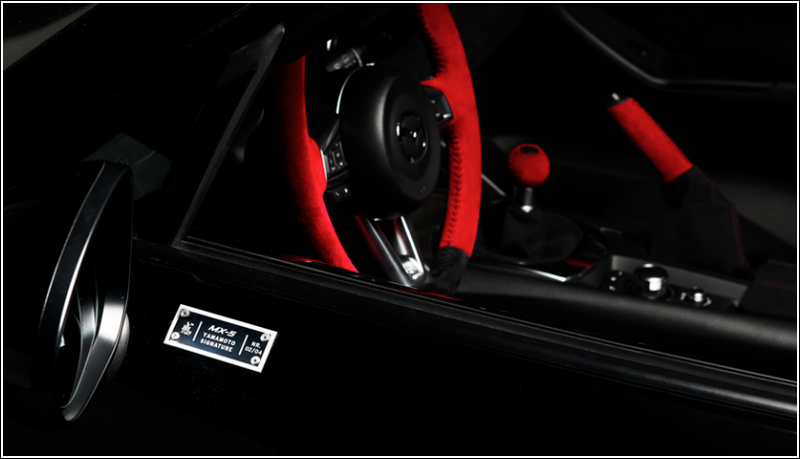 The steering wheel, armrests, gear shift, handbrake lever, and centre console are retrimmed in grey Alcantara and red suede which is all hand stitched in Italy. The centre panels in the standard leather seats have been retrimmed in smart grey Alcantara. The dashboard panel has also been trimmed in Alcantara and features an embroidered reproduction of Yamamoto's signature. 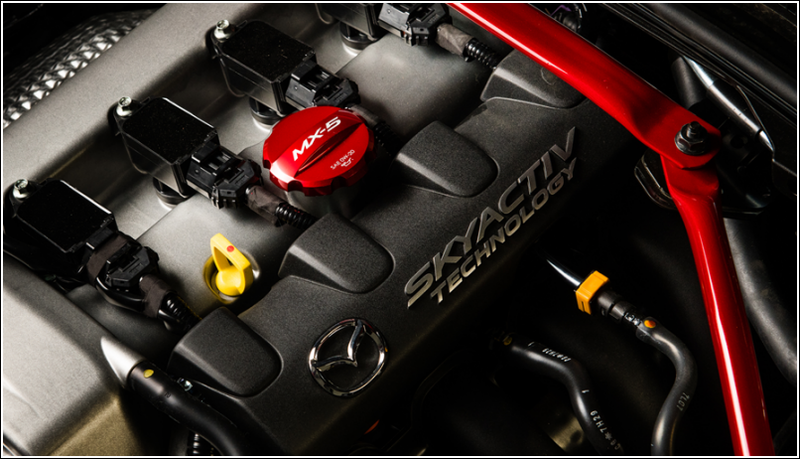 Performance-wise, there are no changes to the standard engine and exhaust but there is a red engine bay brace and red engine oil cap included. 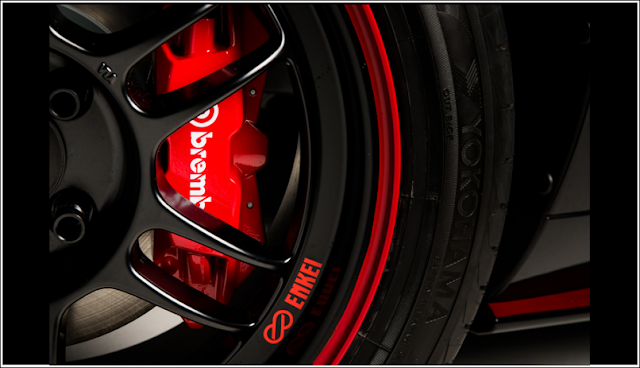 An optional box of upgrades is available and includes Ohlins suspension, Enkei RPF1 16" wheels in black with red lip, 205/50 Toyo R888R semi slick tyres, and a brake upgrade to the 280mm discs from the 2.0 models along with red Brembo 4-piston front calipers, Nissin rear calipers, and stainless steel braided hoses. The Yamamoto Signature edition is extremely limited with just 4 available, priced from 37,500 Euro.